Need immediate Houston roadside assistance or towing services? Delta Towing Houston and their network of licensed affiliates experts. provides certified 24 hour towing solutions! Call us now at (281) 936-0140 for a free estimate! Car won’t start? Looking for a quick car tow? Delta Towing Houston is available 24 hours a day for emergency roadside assistance and any Houston towing services such as: car tow, tow dolly, junk car removal, heavy duty tow, fix flat tire, long distance towing and the list goes on. Call Houston towing services 24/7 at (281) 936-0140 and we’ll be over at your location. All of the above Houston Towing and roadside assistance services are available to all residents of Houston, TX around the clock. Our professional auto mechanics are highly skilled and experienced to fix flat tire, change car battery, jump start battery, tow vehicles of any type and model, recharge battery on the spot, and carry out car lockout services and provide you with an ignition key replacement. Houston towing services: all towing services are available for any type of vehicle through our tow trucks and tow dollies. Towing services include – heavy duty towing, long distance towing, 24 hours towing, trailer tow, motorcycle tow, truck tow and more. When you find yourself in need of a Houston tow truck, it’s important to have that number on hand at all hours of the day. Here at Delta Towing Houston, our Houston tow truck technicians can assist you with more services than just a tow! Our technicians are trained to assist all of our customers with jump starts, flat tire changes and fuel delivery, in addition to winch and rescue jobs and dolly towing. Locked out of your car? No problem! 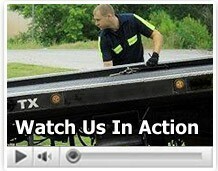 A Delta Towing Houston tow truck technician will be at your door and have you on your way in no time. Available 24 hours a day, 7 days a week, 365 days a year, give us a call whenever you’re in need of a Houston tow truck. All of the above services are available around the clock, for competitive prices. Save our phone number and call us for any car emergency. Whether you need a car replacement battery, a tire fix, a quick jump start or if you happen to get your keys locked in the car and need to unlock door, give us a quick call at our 24 hour towing line (281) 936-0140 and we’ll be with you in just minutes! If you have any questions, do not hesitate to contact us at anytime. Delta Towing Houston is your local emergency towing service provider. Keep our phone numbers (281) 936-0140 handy and remember that you can always rely on us during a vehicle emergency.